It's simple. Fly into Cancun rent a car. 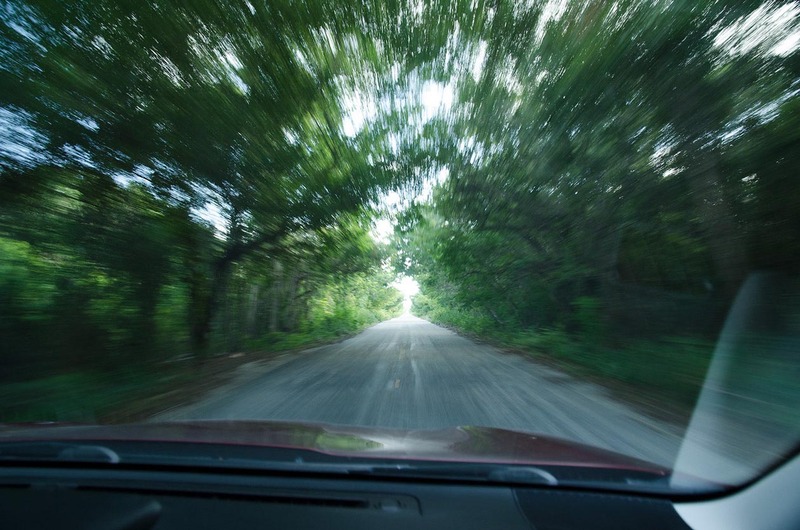 The drive Cancun-Xcalak can take 5 hours on largely well maintained roads. In order to avoid driving in the dark, begin your trip before 1:00 pm. If that's not feasible you have two options. Spend an extra night in Cancun. Or, divide your trip. Consider driving an hour from Cancun to Tulum and spend the night. This second option provides you with plenty of time to visit Tulum ruins before completing the trip to Xcalak. 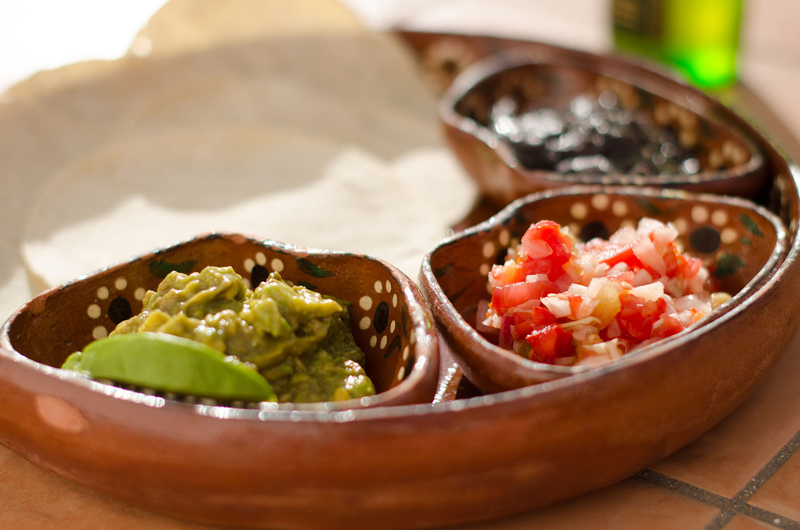 Click here for some recommendations on places to stay in Cancun or Tulum. Hop onto 307 South from the airport. Drive south for approximately 3.5 hours. Through Playa del Carmen take the over passes by driving in the middle lanes. Continue south on 307. About 20 minutes south of Tulum is the archeological site of Muyil. It is a much smaller site than Tulum, Coba or Chichinitza but has a pretty large pyramid and many buildings that have yet to be excavated. The beauty of it is you may only see another couple of people on the whole site. You can pay a guide to walk you through the site. Continue on through Philipe Carillo Puerto. It's probably a good idea to get gas there. They will always have it. [UPDATE Oct 4, 2016] There is a new toll road that completely bypasses Filipe Carillo Puerto. Highly recommend taking it. 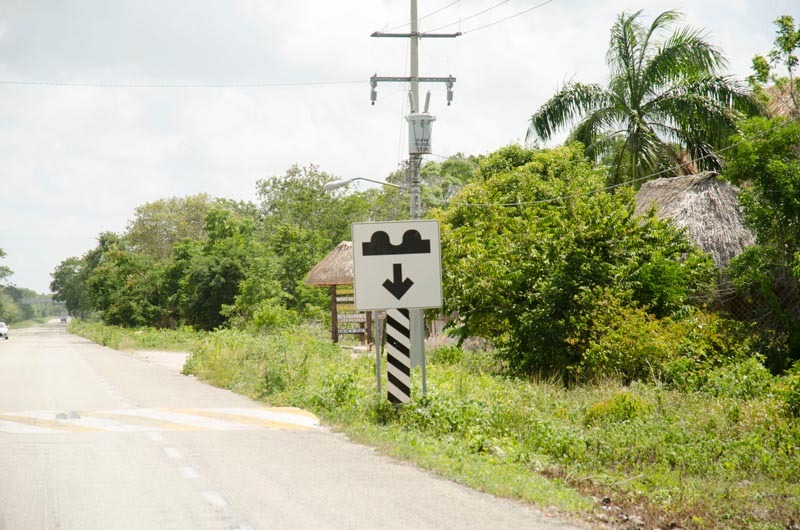 Just follow the signs for Chetumal Cuota or Toll road to Chetumal. It will swing you to the west of town, through a toll gate, then put you back on 307 south bound past the town and the traffic. Continue south on 307, watch for topes in Hu-May and Andres Quintana Roo, until you get to the town of Limones. At the south end of town, turn left at the sign for Mahahual/Xcalak. Follow the road for 51 KM. There you will hit a tope, make the turn to Xcalak. If you miss the turn and see the Pemex Gas station, stop and get gas then turn around and make the turn to Xcalak. The road narrows significantly at this point, as the jungle encroaches on the road. There are a couple of tunnels where you will be driving under a roof of trees. Drive carefully through this section as there are pedestrians, bicyclists, and wildlife that will be on the road and there are a lot of blind curves. This is the section that you really don't want to be driving at night. You will hit a T junction, with a lot of signs for Xcalak hotels, turn left. Follow the road until you run out of pavement. You are now in Xcalak. The easiest way to get to the beach road, is when you hit the Xcalak soccer field, you will turn left then right, then go straight until you hit the beach, then make a left at the water’s edge. Go past the town pier, the road will turn left, then turn right and you will be on the bridge. Cross the bridge, then up the beach road 7.8 KM and you will find Acocote Eco-Inn. Parking is on the left side of the road, Hotel on the ocean side. If you plan on doing any cooking at Acocote Eco-Inn in your full kitchen, you might want to stop at the Chedraui in Tulum to pick up any groceries. A great thing to do is get the ingredients for a pico de gallo. Tomatoes, onions, bell pepper, jalapeno peppers, cilantro, etc. and totopos or chips for snacks to have around the room. Another item that is easy to prepare are breakfast burritos, get chorizo, fresh tortillas, eggs, cheese (they use Oaxaca cheese for quesadilla). You can also pick up beer, wine, or any other beverage of choice. There is a small roadside stand 5 KM after the turnoff at Limones, called Rancho 5 KM, that makes their own wonderful Habanero sauces you can try. Look for the “Salsa” sign. We do have a blog post with shopping lists and recipes you can check out here. Topes - Or speed bumps are found mainly around population centers. Some are relatively small some would launch your car if you were travelling at any speed. Pay careful attention to the signs as well as when you see a sign with a town name on it. Another good sign there will be topes is if the road becomes divided in a town. There are a couple, like the one in Hu May that don't have signs and can creep up on you so be alert while driving. The easiest way to GPS down to Xcalak is using Google Maps. Because you will have stretches of road with no cell service, you need to download the maps for off-line use. See the instructions here. The trick is to make sure your maps are updated or they expire. Also, put in your route before you lose cell service or wifi. It will continue to navigate after you lose service, but sometimes won’t route while you have no service. If you use Garmin, GPX Files with tracks, points of interest and all the Topes are available for download here for Garmin or here for Google Maps. You can get route-able Garmin compatible maps here or here. Once you have installed the maps, you can convert the tracks to turn by turn routes.